He was speaking at an event organised in Vrindavan, Uttar Pradesh, to mark the serving of the third billionth mid-day meal to underprivileged children. 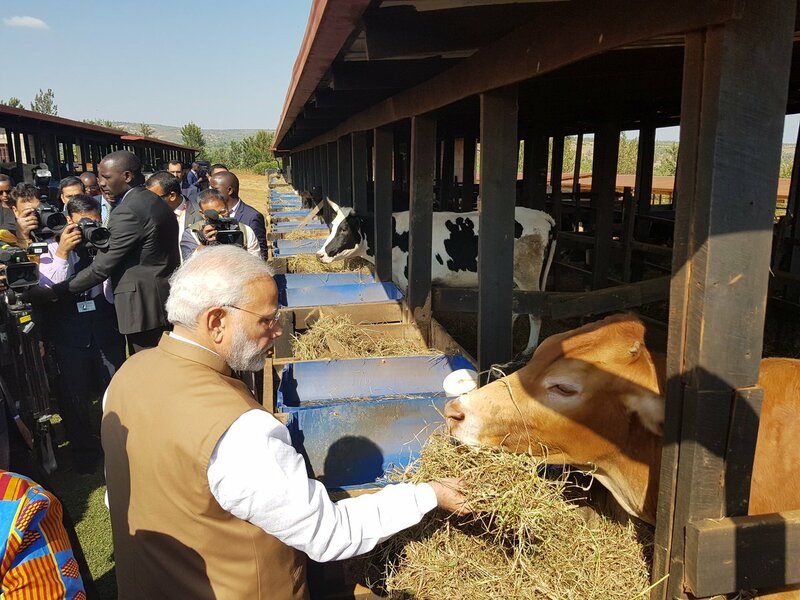 Prime Minister Narendra Modi on Thursday said cows are an important part of India’s tradition and culture, PTI reported. 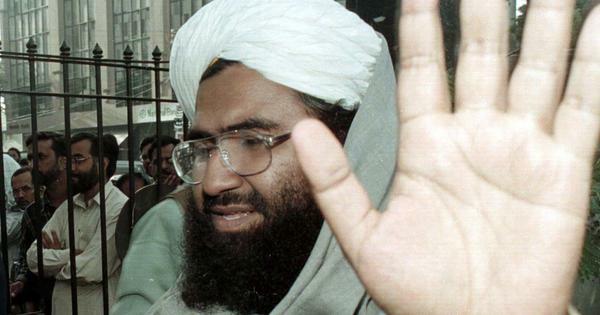 He was speaking at a gathering in Uttar Pradesh’s Vrindavan, where he participated in a event organised by non-governmental organisation Akshaya Patra Foundation. The event was held to mark the serving of the third billionth mid-day meal by the NGO to underprivileged children. The prime minister said his administration has taken several steps to improve the living conditions of cattle in the country. He cited the examples of the government’s Rashtriya Gokul Mission and the allocation of Rs 500 crore for the Rashtriya Kamdhenu Aayog. 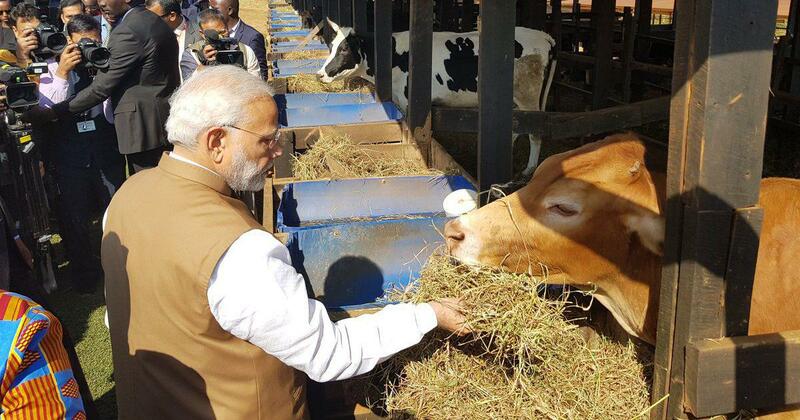 “We cannot repay the debt of cow’s milk,” Modi added. Cow protection has become a contentious matter in the country because of incidents of violence triggered by alleged slaughter of the animal. On December 3, a police inspector was one of two people killed in Uttar Pradesh’s Bulandshahr district in mob violence sparked by the discovery of cow carcasses in a field.